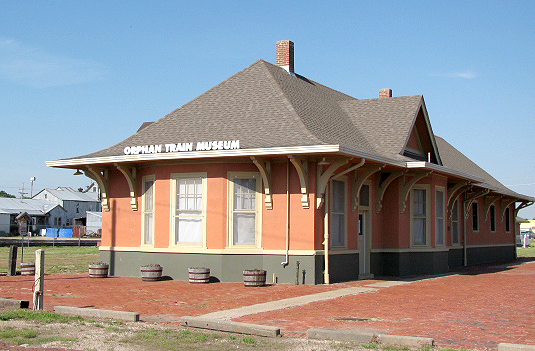 Located in a restored Union Pacific Depot, the National Orphan Train Museum contains informative exhibits depicting the history of the Orphan Train Movement.Photos and memorabilia of the Placing Agents and Orphan Train Riders offer insight into the mass relocation of children from New York City to homes across the US from 1854 to 1929. A visit to the National Orphan Train Museum will amaze and touch your heart like no other museum. Open Tues-Fri 10:00 a.m.-12:00 p.m. and 1:00 p.m. - 4:00 p.m.
Saturday 10:00a.m. - 4:00 p.m.